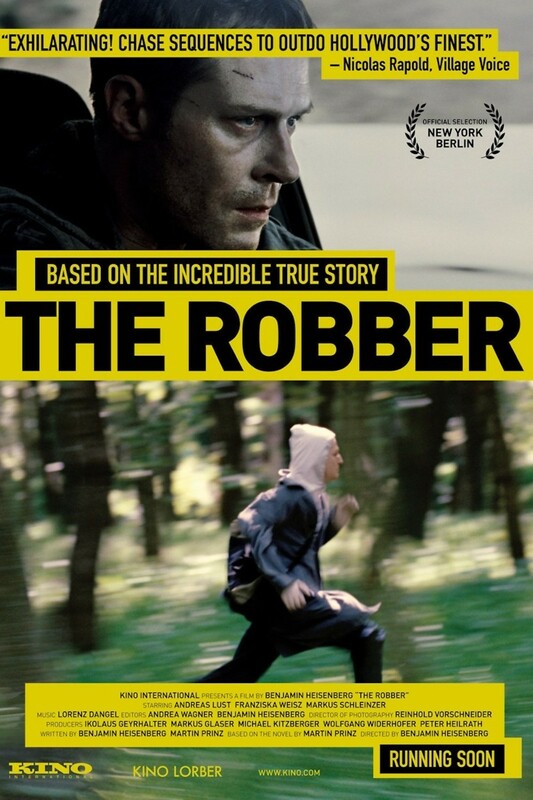 The Robber DVD and Blu-ray release date was set for October 18, 2011. Johann Rettenberger loves to run. He is a talented, Austrian marathon runner that seems to fly with the wind. He also has an ongoing problem: Johann robs banks. Convicted on an armed robbery charge, Johann does some time in jail until they release him. He has not been rehabilitated, and simply starts robbing businesses again. Johann hides all of his stolen goods in a rented hotel room, away from prying eyes. His home life is virtually non-existent until Johann meets Erika. Smitten with Ericka, Johann balances his robbery habit with marathons, keeping his secrets hidden. She is not blind to her surroundings, however, and begins to watch Johann's daily habits. Erika must make sure that her lover is not a chronic robber. He is a talented runner, but secrets run deep in Johann.